Custom slit 1" roll is ideal where the standard 2" width will not fit. 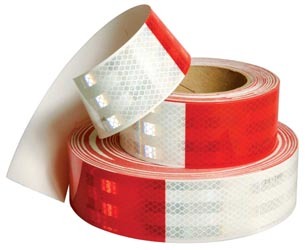 Ideal tape for vehicles, construction equipment, tractor trailers, flat beds, campers where high visibility is required. This custom slit item normally ships within 5 - 10 business days!